The 19-year-old prodigy is embarking on his first season in Formula Two after winning the Formula Three title last year. Mick Schumacher, the son of the seven-time Formula One World Champion Michael Schumacher, is set to join the Ferrari driver academy ahead of his debut season in Formula Two, the last feeder category of racing before F1. His father, who suffered brain injuries after a horrific skiing accident in 2013 and is still recovering, won five of his seven titles with the iconic Ferrari F1 team. 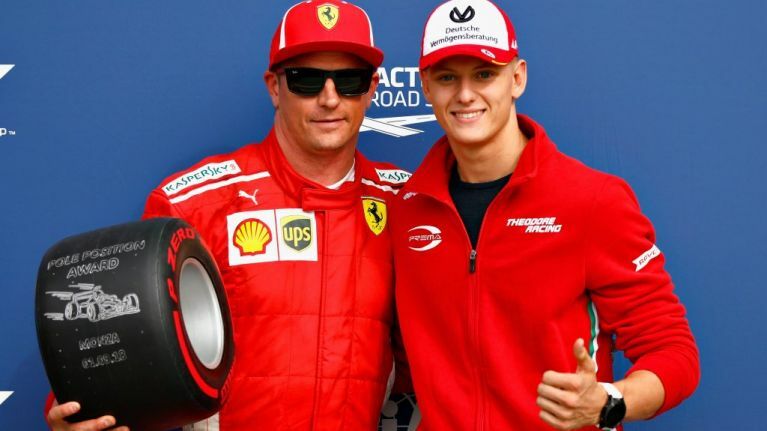 According to BBC Sport, Mick Schumacher signed a deal to race for the Prema Powerteam in the category, but part of the contract means that he will drive in two tests for Ferrari. Despite this, Ferrari have not yet officially confirmed the move, although they did state that there was interest from their side in him joining the academy after he attended the post-season F1 test that took place in Abu Dhabi last year. Schumacher junior previously followed in his father's footsteps by winning the Formula Three category in November, a title his father had taken in 1990 before moving directly into F1 with Jordan. Whilst driving tests for Ferrari is no guarantee of a place in the top category, his prospects look good as a number of drivers have progressed through the academy into seats in F1, including Charles Leclerc, who joins Sebastian Vettel at Scuderia Ferrari this season, and new Sauber driver Antonio Giovinazzi. The man Schumacher will replace, the Russian Dani Kvyat, has also earned a seat at Toro Rosso for the upcoming campaign.